Great way to instantly turn your slatwall into a display! 1 in. 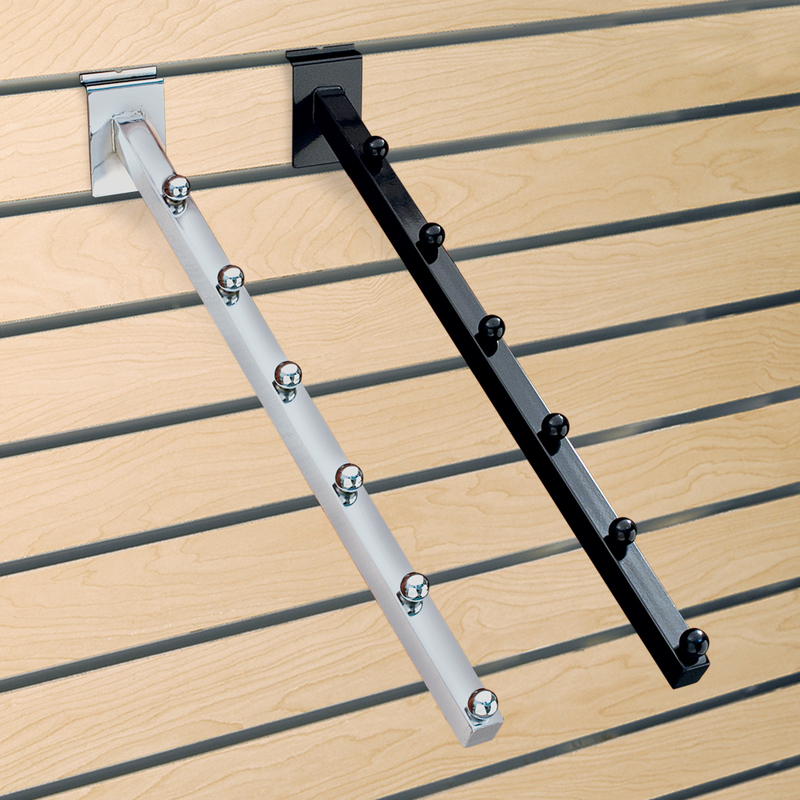 Square Tubing 6 Ball Waterfall for Slatwall.Great way to display Handbags, Purses, Coats or any item that can be hung. Easy to install and move. 17 in. long, 15.5 in. long from the wall.